According to a study by the American Institute of Physics, the median starting salary for Astronomy PhDs at academic institutions is $50,000 (although it isn't clear if this is based on 9 or 12 month contracts). Post-docs tend to make between $45,000 - $65,000 annually (on the higher end for a fellowships or national lab appointment, on the lower end for a university appointment). Astronomers (at all levels) report an average annual salary of $87,000. At top research institutions, this is of course higher -- for instance Berkeley assistant professors make an average of $110,000. Many institutions offer additional benefits like pensions, summer stipends, and regular sabbaticals. My faculty offer (at a teaching institution) was $50k/$60k for a 9/12 month contract. Starting salaries for PhD data scientists according to Insight Data Science Fellowship are between $90,000 - $130,000 base salary, plus an average of 10% annual cash bonus, and additional annual stocks/equity bonuses (mine is ~10% of my base salary). Many tech companies also have perks like free food, transportation, gym memberships etc. 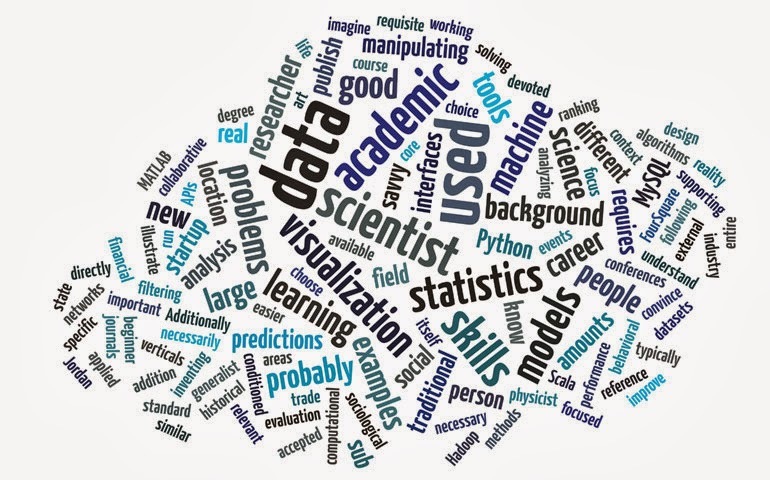 Take away: The average data scientist starting package is 2.5X that of the average astronomy post-doc, and 1.4X that of the average professional astronomer. I work 45-50 hours a week, I am not expected to work evenings or weekends. Hours tend to be longer at smaller companies, start-ups, or companies that are pre-acquisition/IPO. I get 15 vacation days and 12 holidays a year (this will increase to 20 vacation days after 4 years). My job is such that it is pretty easy for me to work remotely or at home, but this obviously varies from company to company. One of my teammates, who has a young daughter, works one day a week at home to be with her. I honestly don't know how many hours post-docs and faculty work. I've heard 60-70 hours per week mentioned. I work less hours per week at my current job than I did in graduate school. However, academics get huge amounts of vacation, and many people (especially at less research-driven institutions) take these summer/winter breaks. I typically took more than three weeks annual vacation when I was in graduate school. Also, because there tends to be less required "face time" for academics, there is a lot of flexibility in when and where you work these hours. This can be especially helpful for women juggling careers and children or other family responsibilities. Take way: Tech industry professionals work less hours than academics. Academics have more flexibility in their schedule and more vacation time. As of my writing this post, there are 335 jobs posted on the astronomy rumor mill for next academic year. There are approximately 200 astronomy/astrophysics PhDs awarded annually. According to this AIP study, 75% of recent astronomy PhD grads are able to find postdoctoral positions. However, there are ~4X more postdoctoral positions than there are tenure track faculty positions. This means, that the majority of people who are currently in astronomy post-docs will not be able to continue in academia at the faculty level. The McKinsey Global Institute estimates that in the next five years the United States alone will have a talent shortage of 140,000 to 190,000 jobs for analytics / data-science positions, as well as the need for approximately 1.5 million managers in these departments. Meaning that there will be that many positions that need filling, without people to fill them. My team has been constantly hiring/searching for over a year now. There are several orders of magnitude more jobs in the tech industry than in astronomy. This has many consequences for the job seeker. You have much more flexibility in the location and specifics of the tech jobs you pursue. A major appeal for me in making the transition to tech was the ability to stay in the Bay Area for the foreseeable future. Most recent PhDs pursuing academic jobs need to be willing to relocate for 5-10 years for various term/post-doc appointments. This can cause major problems for couples or people who aren't able/willing to relocate or live wherever they get a job offer. I feel confident that even if I do not stay at my current position, I will be able to find future tech jobs without having to relocate. Women specifically find the timeline of post-docs problematic because these are prime child-bearing years, yet also a time when their job tenure and location is the most unstable (and they get paid less if they are post-docs). Take away: A benefit of a larger industry allows tech jobs seekers more flexibility in location, specialization, and work environment over academic positions. Post doctoral positions are fairly easy to obtain out of graduate school, however the majority of astronomy PhDs will not secure tenure track faculty positions. At a tech company you will most likely be an "at-will" employee. This means that you basically have no job security. While it would be bad practice for a company to fire people for no reason, and tech employees tend to fair well in times of recession, ultimately you can be let go anytime for any reason. People who aren't performing up to expectations are regularly asked to leave my company. Tenured professors are one of the most secure jobs in existence. I've never heard of a post-doc that has been removed from their position before their 3/5 year contract is up. Even "soft-money" scientists at national labs tend to stay in their positions for many years. If you are able to get a job in research/academia, you will probably not get fired unless you break the law or are grossly negligent. However, as mentioned above in academia there is much less flexibility in the location of where you will find a position, and post-doc jobs are short in tenure and usually require frequent relocation. Also most post-docs will not be able to secure tenure-track faculty positions, so there is not long-term job security for most post-doctoral scholars. Take away: Tenure-track academic positions are much more secure than tech jobs. Tech jobs tend to be shorter in tenure. Post-doctoral scholars have much less security. Tech jobs offer more long-term stability in location right out of grad school. Academic projects tend to last for months to years, allowing the researcher to dig incredibly deep into the subject matter and really explore something as thoroughly as possible. Tech projects tend to be much shorter in tenure. Because projects need to contribute to the value of the business, it is rare to be able to work on anything without quickly producing results that have business impact. My projects tend to be on the order of days, not weeks. This means that the complexity of the problems I work on is not the same as academic research. Note: this is different in research divisions of companies (like Microsoft/Google/IBM research). Take away: Project time-lines tend to be shorter in tech than academia. This results in less complicated or in-depth projects. In academia, researchers get to explore projects which interest them. They get to "be their own boss," and pursue their own paths and directions with their work. Of course there are grant committees and collaborators which influence work, but for the most part the researcher has a lot of flexibility in what they spend their time researching. In tech there is much less flexibility. For the most part, projects are not pursued unless they will improve the company's business value or the customer experience. This means that as a data scientist the direction of my work is determined not by what interests me most, but by what will help the company most. There are opportunities to be creative (like hack days, or 20% projects) but these are not my primary duties. Take away: People in tech jobs have less creative control of the direction of projects when compared with academics. Data science is a fairly new discipline. This means that there are many problems that have been unsolved and many "low-hanging fruit" projects that are simple, but can have real impact on the tech community and world as a whole. A new data scientist has the potential to perhaps have more impact in this discipline, than a new astronomer where many of the easier/simpler problems have already been solved. That being said, with the projected potential growth of the data science field in the next five to ten years this may not be true for very long. Take away: It may be easier to have an impact on a newer discipline like data science than a more established field like astronomy. One of the hardest things about leaving astrophysics is that I no longer get to study astrophysics. While many of my day-to-day tasks are the same -- data analysis, programming, statistics, presenting results, designing experiments -- the subject matter is not quasars and galaxies, but customer behavior. This creates a new set of interesting challenges: it turns out people don't behave as predictably as galaxies. I enjoy that the work I do is directly applicable to helping people and that I see the fruits of my labor almost immediately impact the company. I also miss studying the universe. Take away: Tech jobs have a very different set of subject matter. Pick a company/product that you are interested in before making the transition.